Do you love Mary Jane? From the history of cannabis to resources for budding entrepreneurs, here are the best cannabis books. We love cannabis. Whether it’s growing it, rolling it, or talking about – we cannot get enough of the one and only, Mary Jane. It’s time to step up our game. We’ve handpicked 15 highly rated readers for cannabis connoisseurs. From the history of cannabis to resources for budding entrepreneurs, here are the best cannabis books. The Emperor Wears No Clothes is a cannabis classic. Jack Herer first published it in 1985. Throughout the book, Herer exposes the history of cannabis along with the lies surrounding it. He even goes on to show the numerous uses of cannabis and hemp as a world-saving natural resource, tearing down stereotypes. The Emperor Wears No Clothes remains one of the most accurate and informative cannabis books to date. Before publishing, Herer spent years collecting and compiling data. How did cannabis prohibition lead us to where we are today? Written by the founder of the world’s largest medical cannabis dispensary, Harborside Health Center, and renowned activist, Steve DeAngelo, The Cannabis Manifesto: A New Paradigm for Wellness is both a call-to-action and a vision. DeAngelo answers essential questions about cannabis while asking readers to challenge everything they know about it. Discussing cannabis law and science along with the plant’s physical, spiritual, and psychological effects, The Cannabis Manifesto will change how you view cannabis. Maximize your yield with this grow guide. 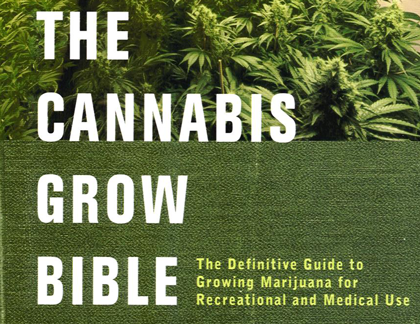 Featuring almost 200 color and black-and-white photographs, charts, and tables – The Cannabis Grow Bible is a grower’s staple. The book details the “Screen of Green” technique, which produces a higher yield with fewer plants. Ensure a successful harvest with this green guide. 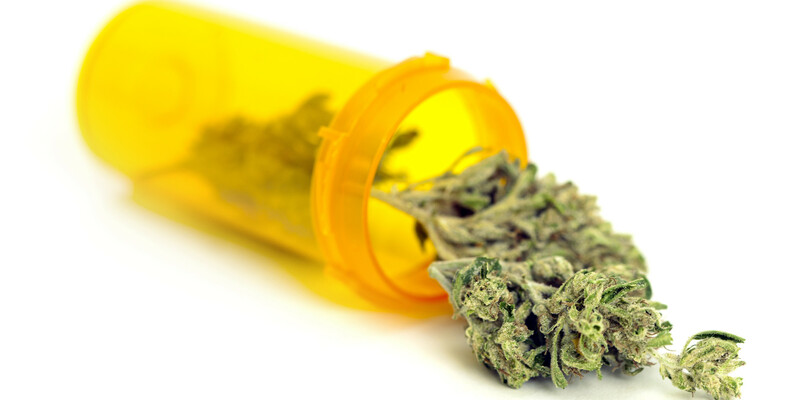 Searching for clear, reliable, and practical information on medical marijuana? 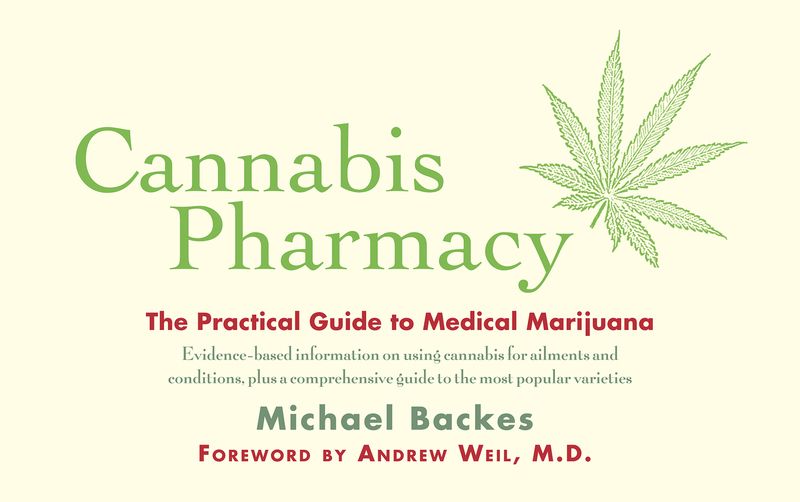 Written by Michael Backes, Cannabis Pharmacy covers the history of cannabis along with how it interacts with the human body. Readers will discover everything from the endocannabinoid system (ECS) to how to identify cannabis varieties to the best methods for storing cannabis. 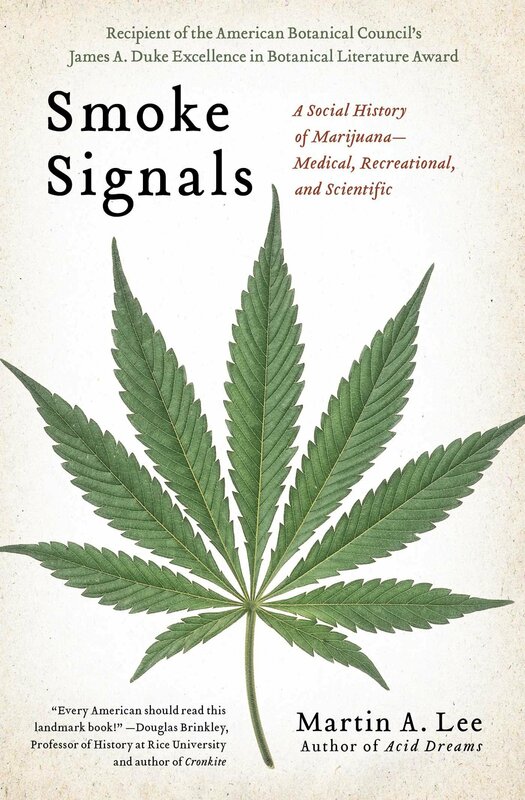 If you’re someone who is interested in learning more about the science and applications of cannabis, this book will blow you away. Get the inside scoop on one of the world’s most controversial plants. 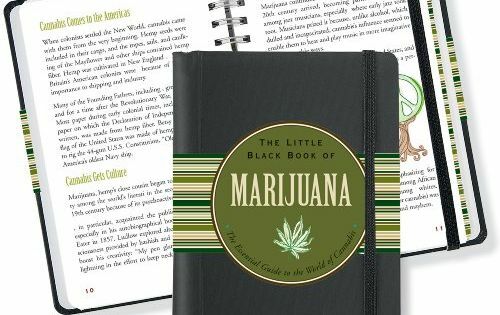 The Little Black Book of Marijuana details everything you have ever wanted to know about cannabis and then some. This handy guide is a quick but detailed breakdown of all things Mary Jane. Expect cannabis culture, history, recipes, medicinal applications, and more. Interested in learning more about medicating with cannabis? The Medical Marijuana Dispensary is both a resource and a cookbook. 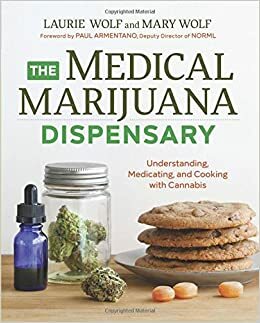 Authors Laurie and Mary Wolf provide accurate and evidence-based information about cannabis in an easy-to-understand guide. The book is divided into three sections. The first two sections detail the history of cannabis along with strain profiles. In part three, The Medical Marijuana Dispensary provides savory and effective recipes. Readers can look forward to learning how to create a variety of cannabis infusions ranging from therapeutic tinctures to sweet treats. A modern guide to an ancient herb, How to Smoke Pot (Properly) is a revolutionary read. Written by David Bienenstock, the book includes insider tips from some of the world’s most famous stoners like Willie Nelson, Melissa Ethridge, and Dave Chapelle. Entertaining as it is informative, How To Smoke Pot (Properly) covers everything from blazing basics to cannabis as a catalyst for cultural change. Want to grow the best buds around? Marijuana Horticulture: The Indoor Outdoor Medical Grower’s Bible needs to be on your reading list. First published in 1983, it remains one of the most complete growing guides worldwide. In fact, there are over 500,000 copies in print in Spanish Dutch, French, English, and German. The book is 512 pages and features 1200 color illustrations and photographs. Detailing both indoor and outdoor grows, Marijuana Horticulture is a world-renowned resource for cannabis cultivation. Want to open a cannabis business? How about invest in the cannabis industry? The Entrepreneur’s Guide to Cannabis includes interviews of the 25 most successful leaders in the cannabis industry. Learn from the pioneers directly with expert advice and insights. The pioneer of strain-specific cannabis cuisine, Jessica Catalano provides her expertise to home cooks with The Ganja Kitchen Revolution. The cookbook includes international culinary influences along with numerous extraction methods including – oils, extracts, and butter. Cooks from all levels can enjoy medicated dishes with this clear and informative guide to cooking with cannabis. Ever wonder what makes a cannabis strain unique? Marijuana Botany presents readers with the scientific and horticultural principles of cannabis along with practical applications of breeding it. Readers are given an inside look into the fascinating world of cannabis genetics. Discover techniques to preserve vanishing strains in addition to top breeding tips. The Cannabis Health Index is a comprehensive resource to medicating with cannabis. The in-depth guide includes over 1,000 studies from cannabinoid and consciousness research, presenting a case for the profound medicinal qualities of cannabis. Written by a former paramedic with a Ph.D. in alternative medicine, The Cannabis Health Index is a valuable guide for enthusiasts and patients alike. Each chapter is organized by medical conditions that can be treated with cannabis. In addition, the guide is in alphabetical order, making it easy for patients to find the information they need. Learn how to grow potent buds with the Marijuana Grower’s Handbook. Featuring the advice of expert grower and a worldwide leading authority on marijuana, Ed Rosenthal equips readers with the knowledge, skills, and techniques to grow the best cannabis – indoors and outdoors. In addition, the Marijuana Grower’s Handbook also details the most energy efficient time, technology, and labor methods to cultivate cannabis. Award-winning investigative journalist, Martin Lee, examines this complex landscape where legal ambiguity meets scientific breakthrough in a panoramic, character-driven saga. This is the great American pot story, a dramatic social exploration of a plant that sits at the nexus of political, legal, medical, and scientific discourse. From its ancient origins to its cutting-edge therapeutic benefits, to its role in a culture war and a dynamic, multibillion-dollar industry. HERB: Mastering the Art of Cooking With Cannabis is our glossy 200-page collection inspired by the hundreds of thousands of recipes we’ve collected over the years.